Kuhl represents the most complete form of active and outdoor wear that the industry can offer. From their innovative and useful styles, to their unique fabrics and ergonomic design, outdoor enthusiasts can be seen thoroughly enjoying Kuhl outerwear all over the world. 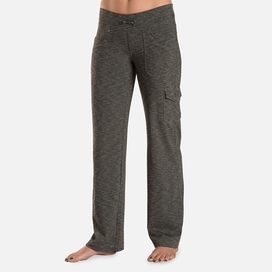 Climbers especially appreciate the articulated knees and gusseted crotch designs that provide both men and women with a freedom of movement that is critical to their extreme sport. Every product that Kuhl has to offer comes with a "guarantee of satisfaction." (p) Everyone involved with Kuhl lives a very active and outdoor lifestyle. Kuhl people mountain bike, backpack, camp, mountaineer, ski, and travel the world. The employees at Kuhl can relate to the consumers quickly and easily as a result of both having a shared passion for top quality sport wear and the great outdoors.